Announcement Delia’s Delight creates distinctive metal and gemstone jewelry that reflects your unique style. Read below and join our KARMA Club to receive a special discount on your first order! Our handcrafted creations are inspired by nature, history, and imagination. 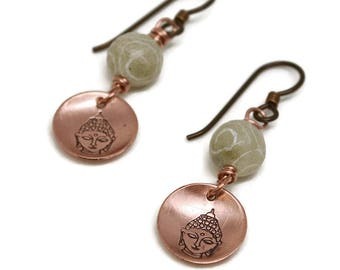 Our original designs feature metals (Gold Filled, Sterling Silver, Copper, Brass, and Bronze), Semi-precious gemstones, Swarovski Crystal, vintage crystal, Freshwater Pearls, leather, fibers, resin and glass. We offer Free USPS Shipping in the United States on Jewelry under $75. Use this URL to join Karma Club: http://eepurl.com/bDeU0b and receive 15% off on your first purchase! Our featured Gifted Collection, contains unique artisan jewelry designed specifically for stylist consideration for use on various Television, Motion Picture and YouTube features in association with The Artisan Group. 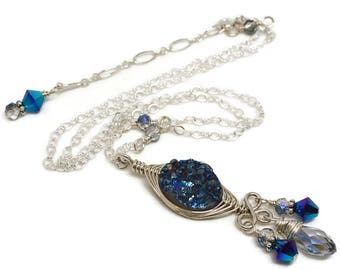 Our jewelry has been gifted to stylists for The Vampire Diaries, Scandal, Empire, and The Originals. We have been featured on are Cedar Cove, Law and Order:SVU, and Jane The Virgin. 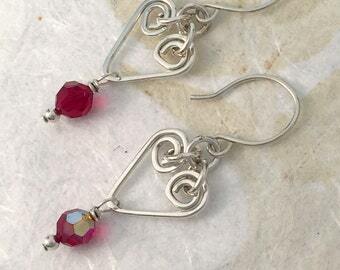 "Beautiful earrings Love the design.Lovely packaging and fast shipping.Thank you"
"I did receive the necklace, and I love it!" Delia’s Delight creates distinctive metal and gemstone jewelry that reflects your unique style. Read below and join our KARMA Club to receive a special discount on your first order! I love them. Beautiful and well made! Excellent customer service!!! Highly recommended. "It is perfectly acceptable to indulge ourselves, especially if it empowers you or enhances your inner beauty"
Creating Jewelry for women with unique taste that defines their personal style. Starting in 2004, I began my journey into designing and creating One of a Kind jewelry. My passion grew out of wanting to wear jewelry that was different and not cookie cutter like most of the designs at the time. None of it appealed to me because it all looked the same and very rarely could I find something I loved in silver or copper. I also realized that most of the pieces that I did own held sentimental value. I still wear a Rose Quartz Pendant made by an artisan jeweler that my husband bought me when we first started dating. One of my favorite and "go to" pieces is the very first PMC Fine Silver Pendant I made. I love wearing jewelry that is unique and that reflects my unique taste and style. I truly believe that buying jewelry is very personal. Many of my customers buy my jewelry for a special occasion or because it reflects their own unique style. Wearing jewelry can convey a bold statement or express simple elegance. Jewelry is an accessory that can really finish off a perfect outfit and add that little extra touch of grace. Jewelry is a personal indulgence. Do we really "need" jewelry, probably not, but I know that when I wear one of my bolder designs I feel empowered just by wearing it. It is perfectly acceptable to indulge ourselves, especially if it empowers you or enhances your inner beauty. I create Jewelry for women that are confident in their own skin, that aren't afraid to stand out in a crowd and do not feel guilty by indulging their desire to adorn themselves. 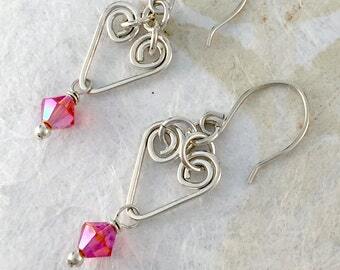 In 2006, Monica Sargeant started Delia's Delight Studios because of her passion for designing/creating OOAK Jewelry. 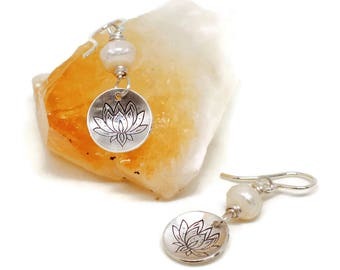 Delia's Delight Studios creates jewelry for women that want to feel empowered and enhance their inner beauty. I take great care to package your purchase in a gift box and organza bag. I then ship your purchase in a bubble shipping envelope for extra protection. I will always include a receipt of your purchase unless you request otherwise. Upon request, I can also include a simple "A Gift for You!" note card with a quick and short message. Do not sleep, wash dishes, exercise or take showers with jewelry on. Some jewelry may contain hand dyed silk or dyed freshwater pearls and semi-precious stones that will fade with improper use or extreme exposure to sunlight. Put on your jewelry after you have put on perfume/cologne or hairspray. Do not use harsh chemicals to clean jewelry with pearls or semi-precious beads as they can damage the luster or finish. All metal patinas are temporary and will fade or darken with time. The patina can be prolonged by storing jewelry in a small Ziploc baggie. 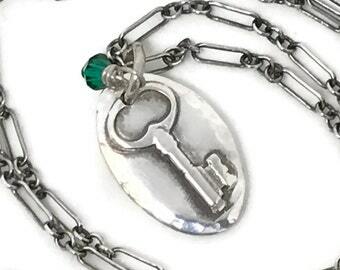 This will also protect other jewelry from tarnishing prematurely. Sterling Silver, Brass and Copper can be brightened with a jewelers’ cloth. Due to costs of materials, I sometimes choose to use Gold Filled elements in my designs. Gold Filled elements contain an actual layer of gold pressure bonded to another metal, such as silver or brass. Gold filled is not to be confused with gold plating as gold filled literally has 100% more gold than gold plating. Gold filled is much more valuable and tarnish resistant. Gold Filled elements are regulated by Government Standards where gold plated elements are not. It does not flake off, rub off or turn colors. Anyone who can wear gold can wear gold filled without worries of any allergic reaction to the jewelry. Gold filled jewelry is an economical alternative to solid gold and is generally considered keepsake or heirloom quality.